We hear a lot about star heroes and their starry tantrums. Due to this, the directors and producers lose few kilos due to tension and running around by the time the film gets over. But then, it is heard that there is one director in front of whom none of these jumping works. He is none other than S S Rajamouli. It is heard that Rajamouli is a tough taskmaster and for him, respecting the character and story is important. As part of that, he is very strict on certain expectations from the lead cast. So now, it is heard that he has given an order for Prabhas. 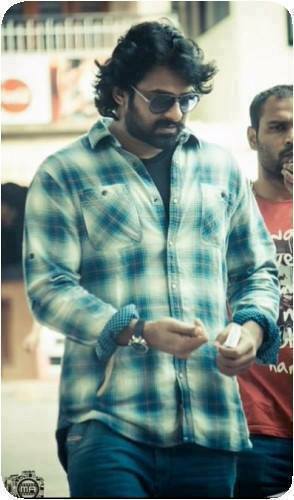 Well, sources say Rajamouli made it clear that Prabhas must restrict his presence in public events. Apparently, the young rebel star has developed a special beard and a gigantic personality for the role of a warrior in Rajamouli’s ‘Bahubali’. Hence, the director is particular that this look of his hero must not be exposed too much. The project is timed for two years so Prabhas fans must prepare not to see Prabhas till such time.